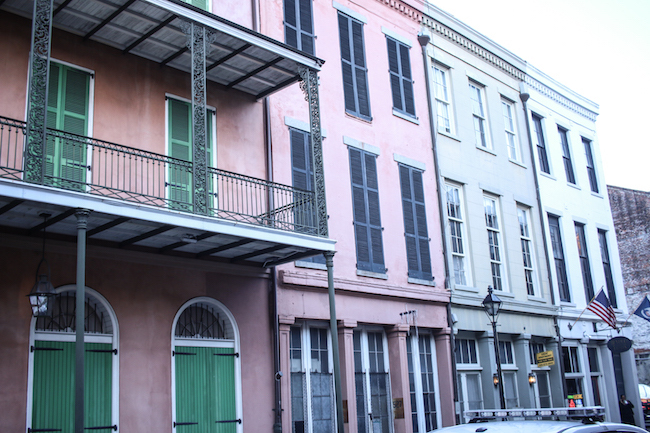 Vintage Whites Blog: One Day in New Orleans! 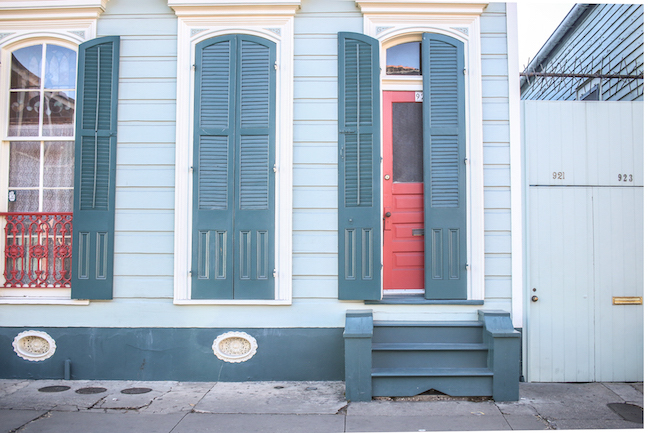 One Day in New Orleans! 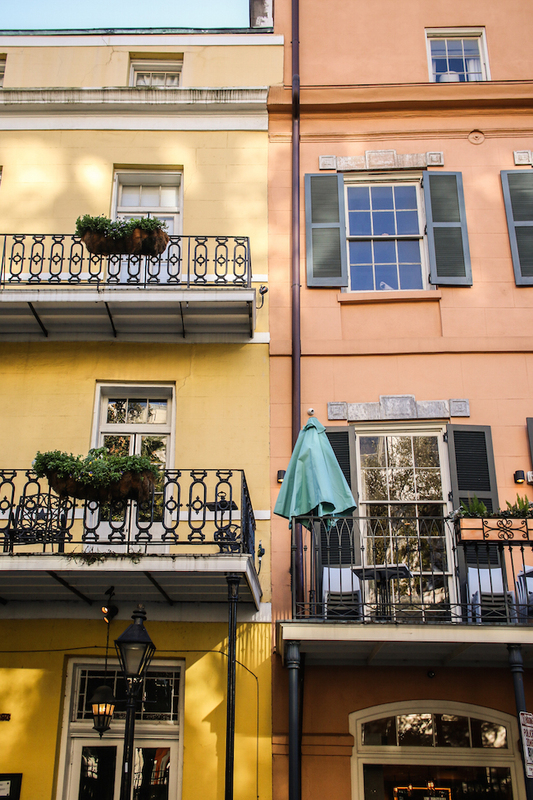 Raise your hand if you've never been to New Orleans. Now, raise your hand if you have a desire to go. A few months ago, I would've raised my hand to the first thing but not to the second! I lived in Louisiana for a very short time when I was 8 or 9, but all I remember is that it was hot and we lived in a camper. haha...no desire to return! 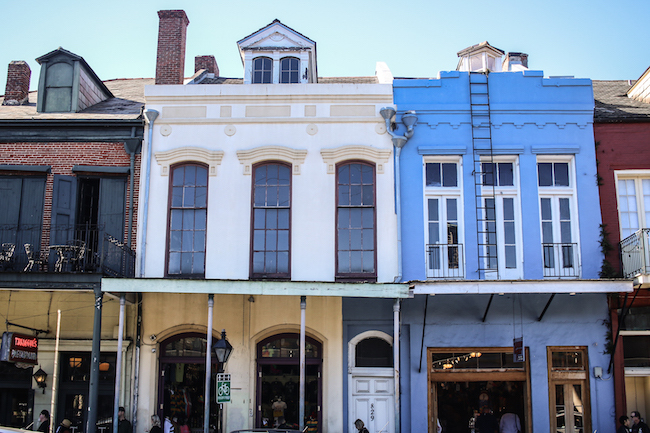 We are hosting a market in Laurel, Mississippi (it is the quintessential small town) on June 9th & 10th (home of HGTV's Home Town and we'll have Ben & Erin Napier as our special guests) and our scouting trip had us flying into New Orleans. I didn't really have high expectations until I started looking at photos of the city and places to go since we had an entire day there. We flew in at night and drove straight to Laurel, so all we saw were lights and a random neighborhood that our GPS took us through. 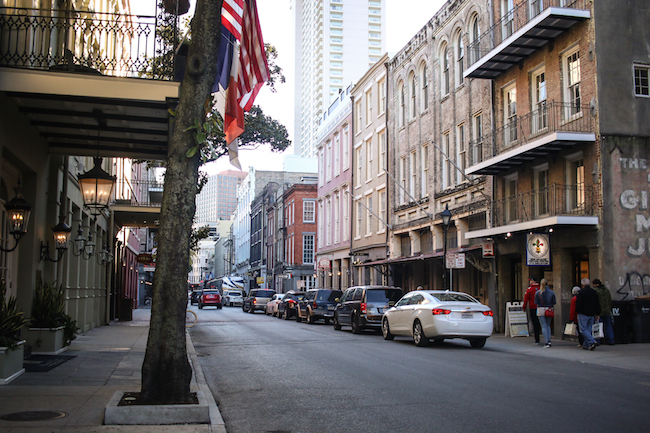 After our trip to Laurel, we headed to New Orleans on Sunday morning to explore! 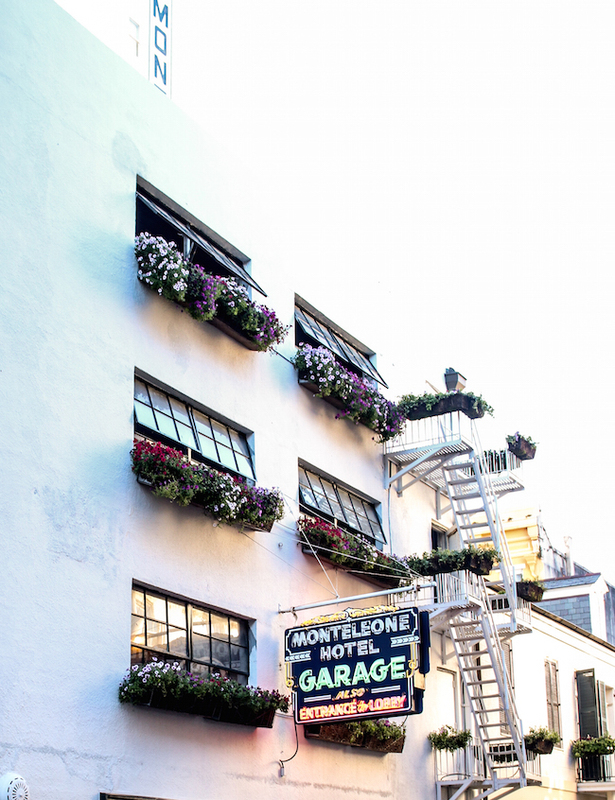 Vanessa and I headed to Hotel Monteleone first, where we'd be staying for the night. 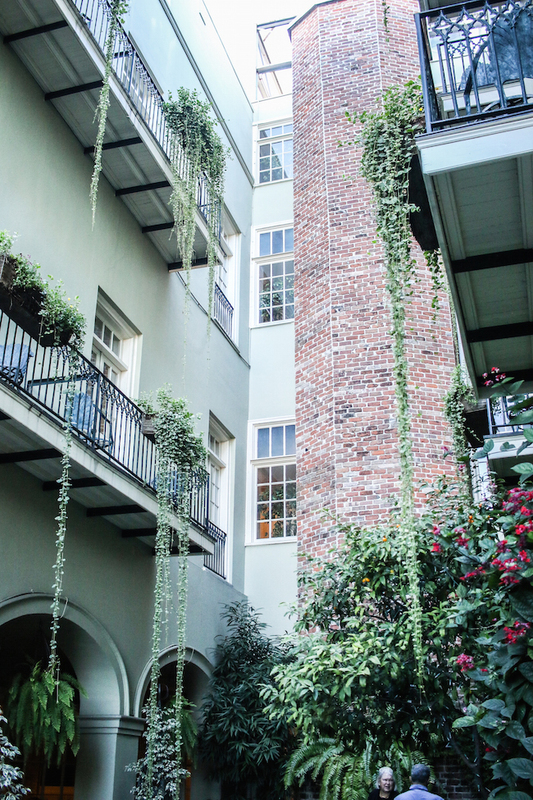 Tucked away on one of the narrow New Orleans streets, we pulled around to the parking garage...decorated with gorgeous plants, a beautiful neon sign and the nicest guy ever who helped us get situated and off to the lobby to check in. I don't think I've ever been in a more beautiful and welcoming hotel! 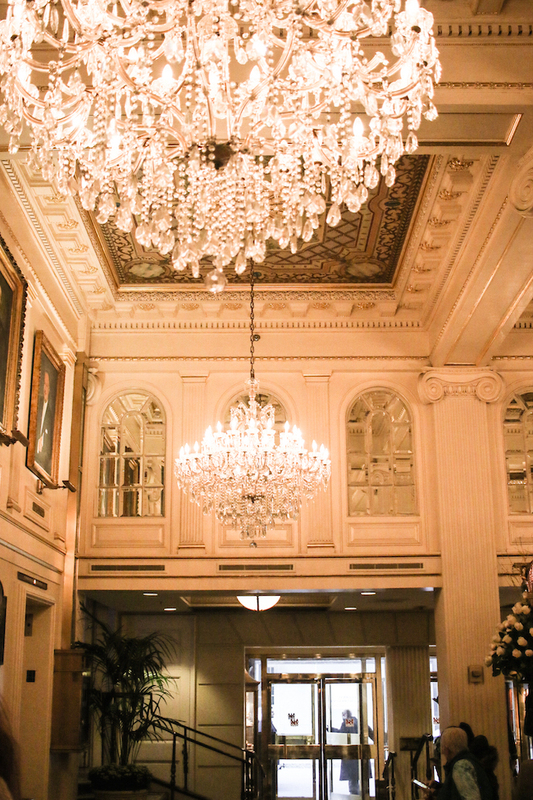 The lobby is absolutely breathtaking with huge chandeliers, ceiling detail, antique furniture...and everything sparkles with New Orleans charm! Our room wasn't ready until 4, so we decided to check our luggage and grab a bite to eat (the first of MANY bites haha). Nolan, the super nice guy who checked our luggage asked us where we were going to eat, but we had no clue! He put a sign on the counter, grabbed his sunglasses and took us on a 4 or 5 block walk just to make sure we got to our lunch spot which he highly recommended. 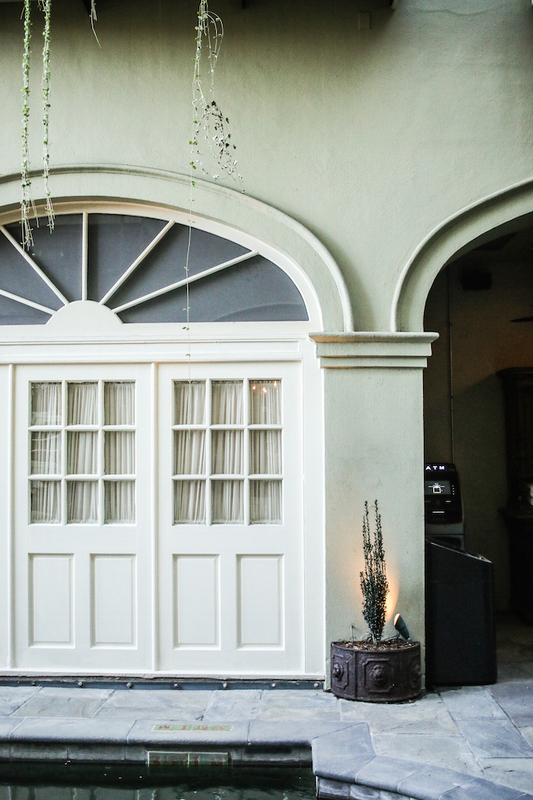 We ate at Cafe Nola (Emeril's restaurant) and it was DELIGHTFUL. I had a duck gumbo that was out of this world. 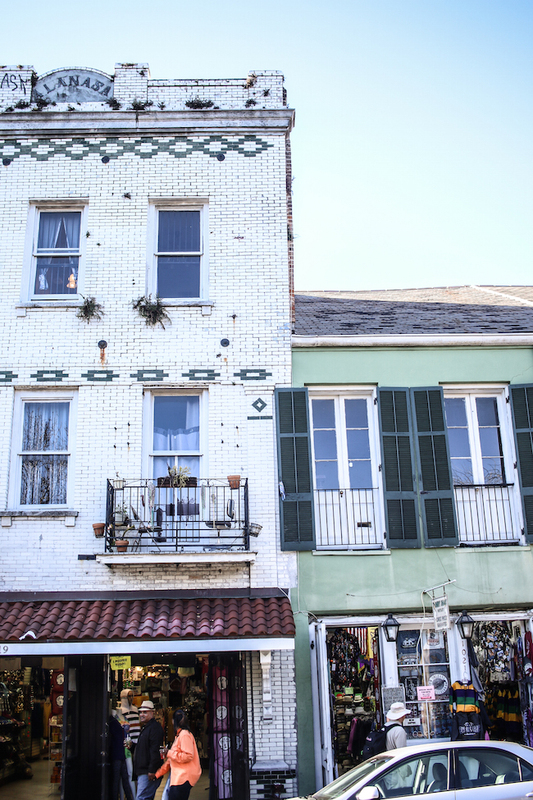 After lunch, we set out for the French Market and a glimpse at the famous Cafe Du Monde. The line was all the way outside of the building once we got there, and we had way too much to see. We didn't want to waste time in line! We actually didn't even eat a beignet the entire time we were there! Remedying this in June. The French market was amazing. 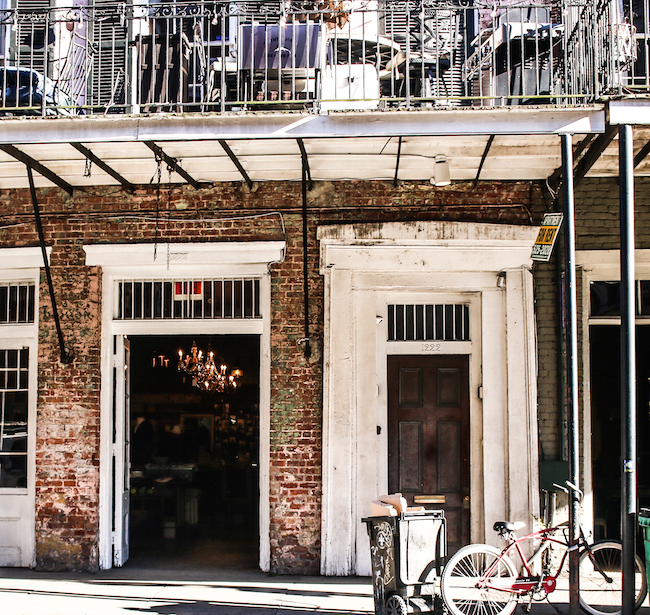 It was bustling with people, smells of food, people shucking raw oysters, live bands walking through the streets playing music...it was certainly a culture that I haven't experienced and it set me on fire. I LOVED it. The fact that it was cool and quiet helped, I'm sure. I don't know that I'm cut out for New Orleans in June....but we'll find out soon enough! 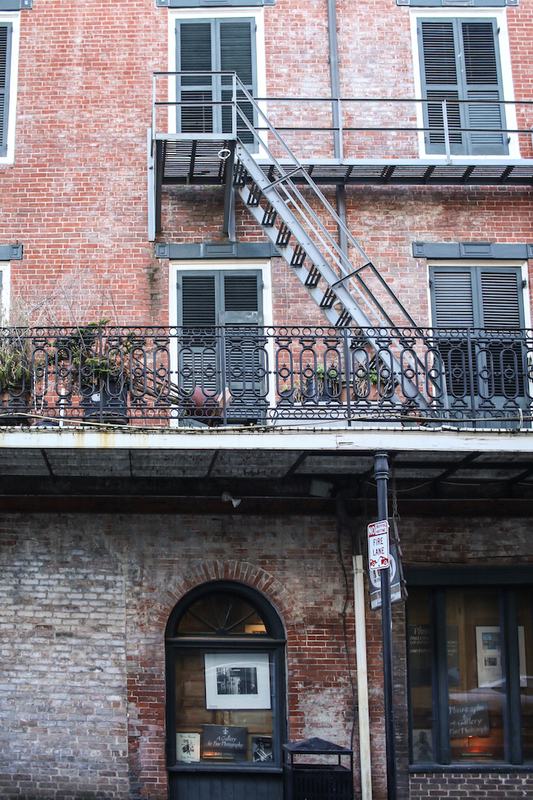 Vanessa and I grabbed coffee and made our way through streets and alleys, avoiding the craziness of Bourbon Street (yes, even at 3 PM on a Sunday!). We stopped to snap photos every 10 steps or so...it was just SO beautiful. The architecture blew my mind...closest I've ever come to feeling like I was in France! 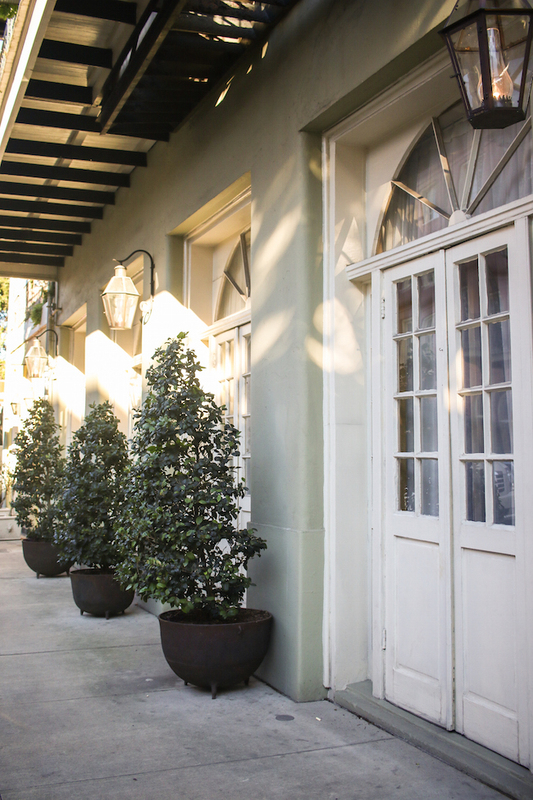 Our last stop before we went to our room was the historic Bienville House, sister to Hotel Monteleone. 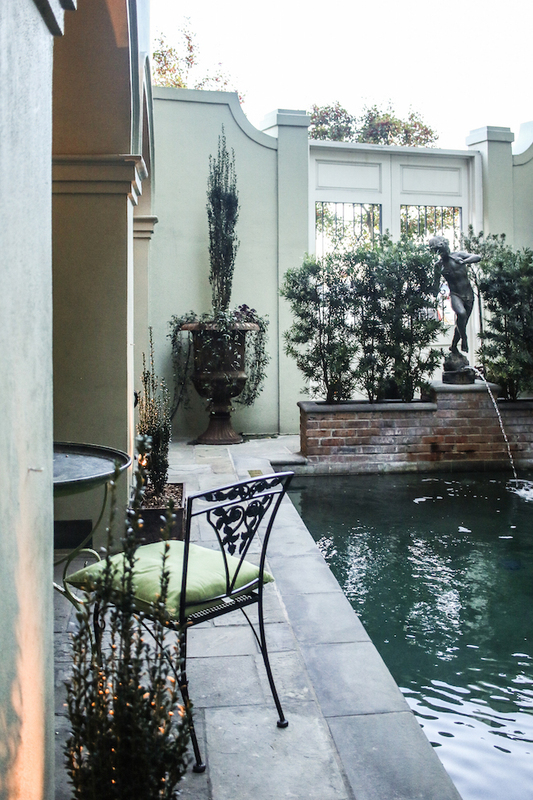 The courtyard is like something straight out of a movie. 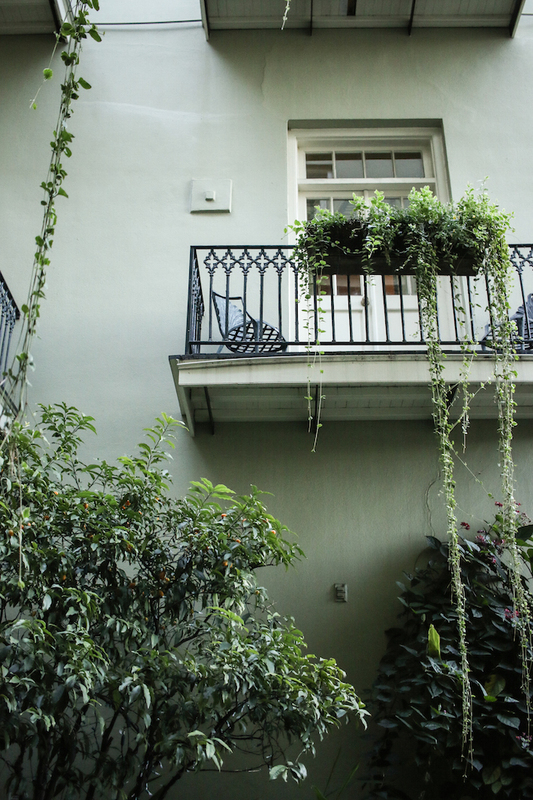 Gorgeous live plants growing and hanging from every balcony, a pool with a fountain, and little nooks with conversation areas and romantic lighting. 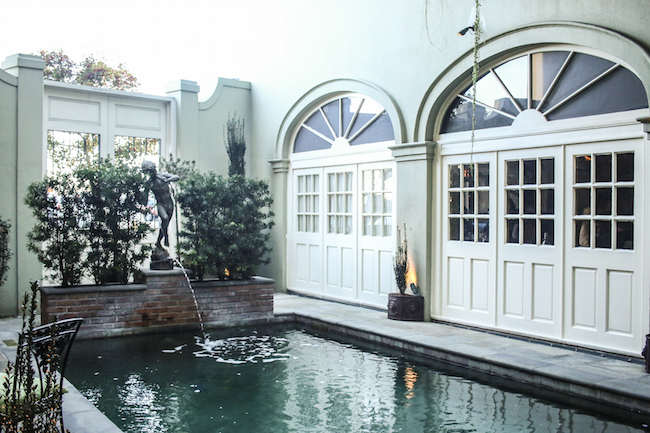 When I dream about our wedding venue, it has this courtyard. 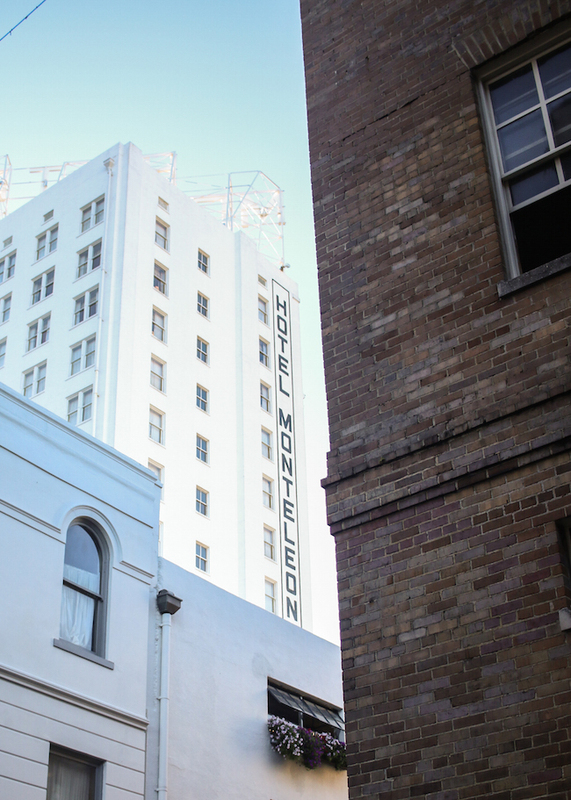 For decades, it was a manufacturing plant and then after becoming apartments, the Monteleone family bought it in 1972 to make it into the hotel it is today. We walked a few blocks back to our hotel and set out to explore our room and all of the amenities. 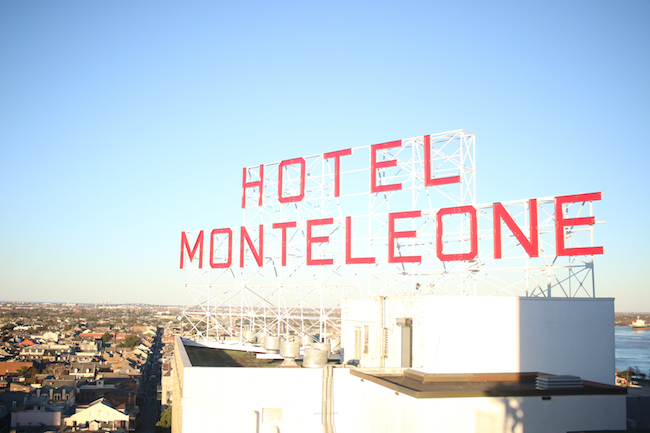 Blair helped us find a room with a great view of the Hotel Monteleone sign and showed us where the pool was. 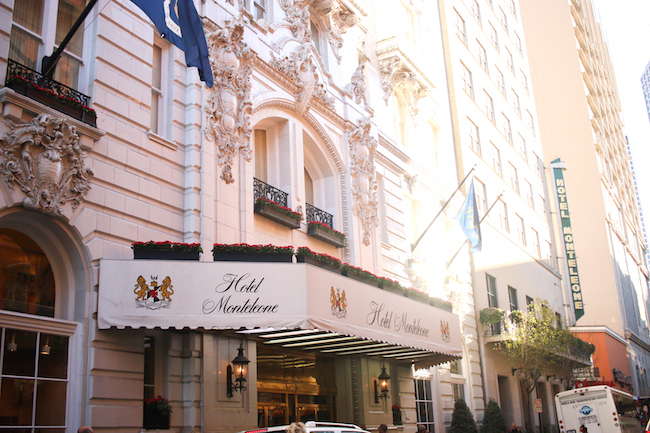 The staff at Hotel Monteleone are so welcoming and helpful! Our room was SO cozy. 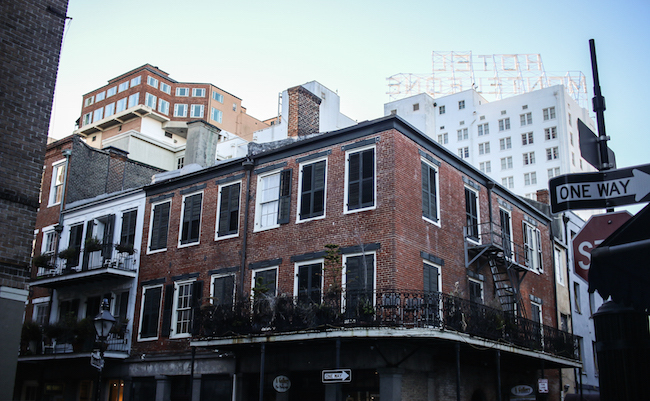 It overlooked the French Quarter and the Mississippi river. We were greeted by a box of macarons from Sucre & a sweet note. We decided on snacks and drinks at the Carousel Bar (it actually rotates, guys) before dinner and walked away with a new favorite drink -- the Fleur De Lis. Dinner was at Kingfish and dessert was at Mr. B's Bistro. We went to as many places as we could and we were SO full by the end of it! We stopped at the Carousel bar again before bed to plan our markets...and ended the night by looking over the Mississippi River from the window in our room. So peaceful! I really didn't want to leave! There's definitely something magical about the city. I'm excited to bring Tanner in June so he can experience it too! The last time he was there was right after Hurricane Katrina! 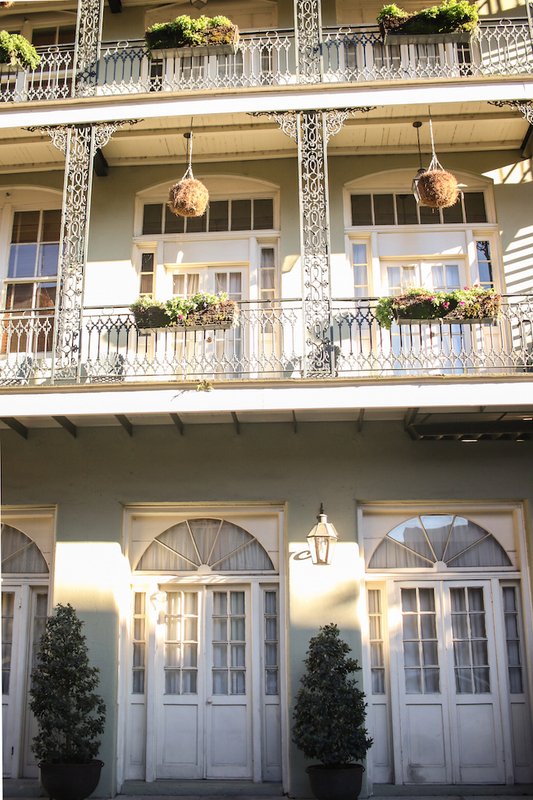 If you're planning a trip to New Orleans, I highly recommend the Hotel Monteleone. We've stayed in a lot of places, but none compare to the customer service we received while we stayed with them. 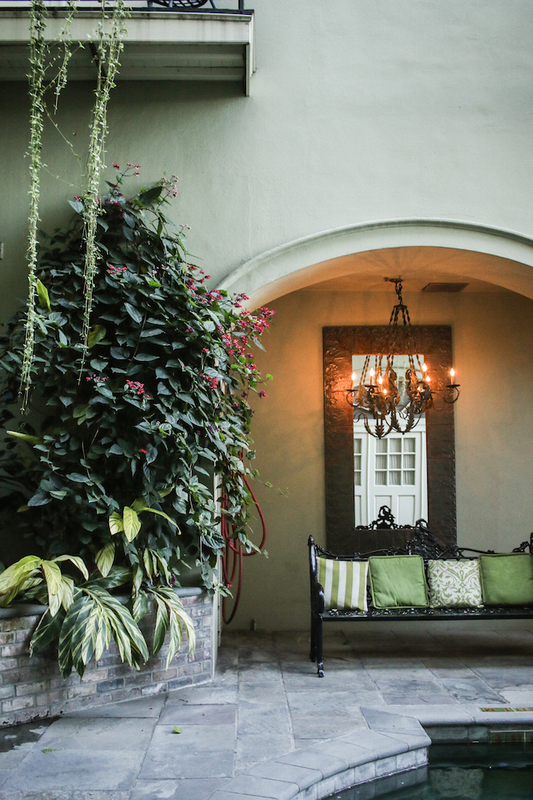 The rooms are beautiful, its in a very convenient and safe location, and we can not WAIT to go back. 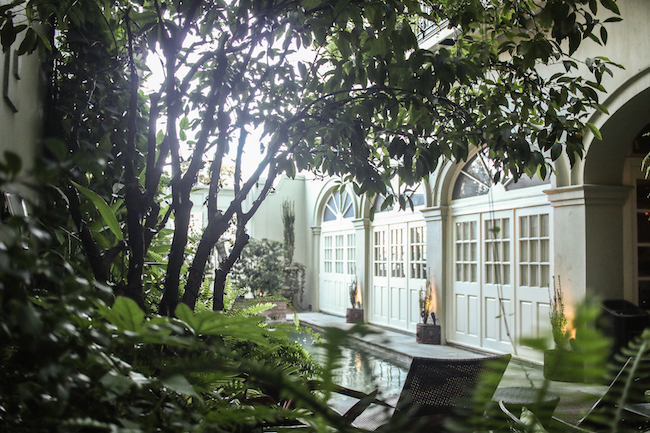 If you're flying into New Orleans for our market, this is where you want to stay. It's only 2 hours from Laurel! Counting the days!! 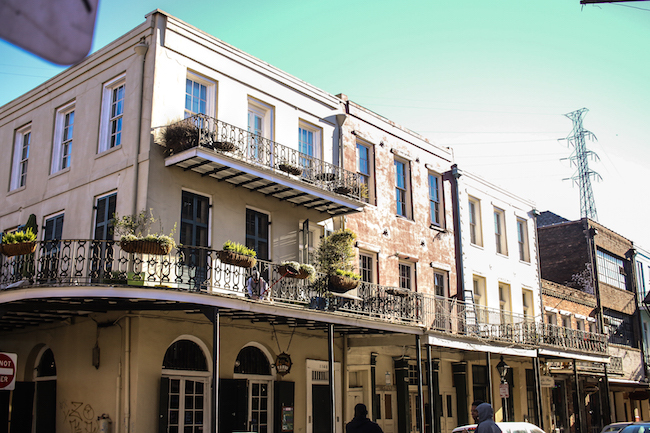 What are your must-stop places in New Orleans? This is timely! There are only 3 states in the US that I haven't been to and one is Louisiana. We had planned to take a trip there soon. I appreciate the hotel recommendation! Sounds like a great time!